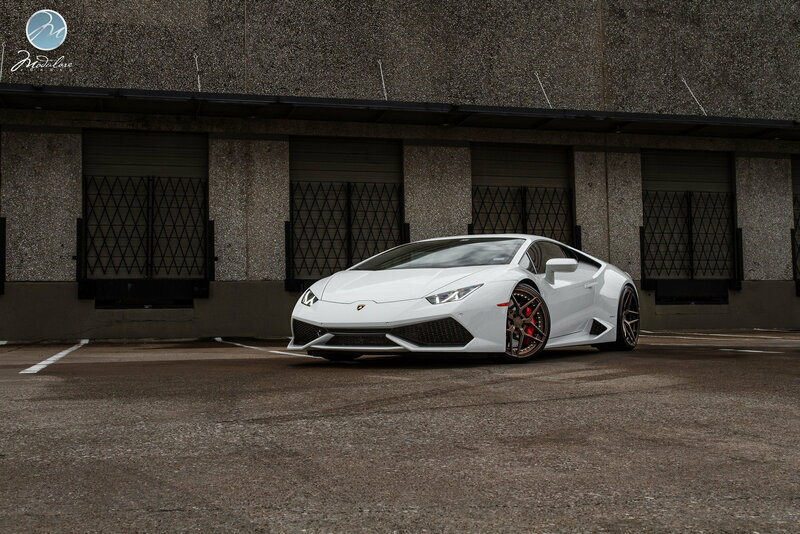 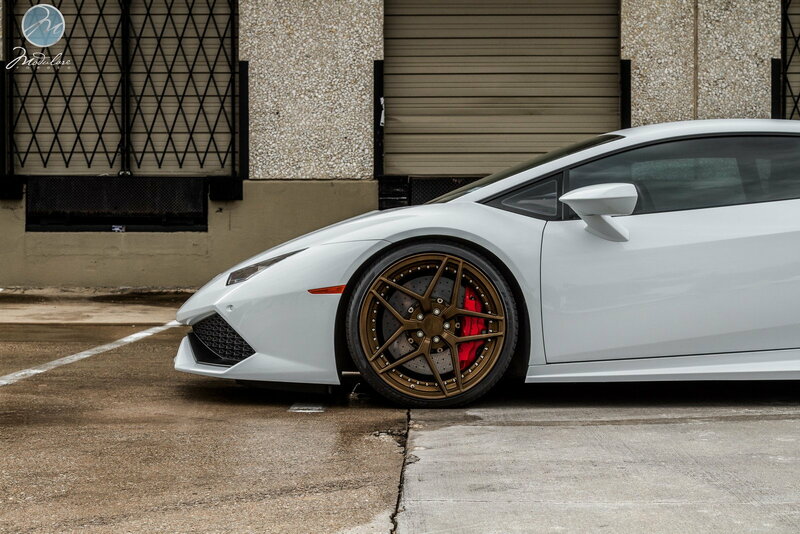 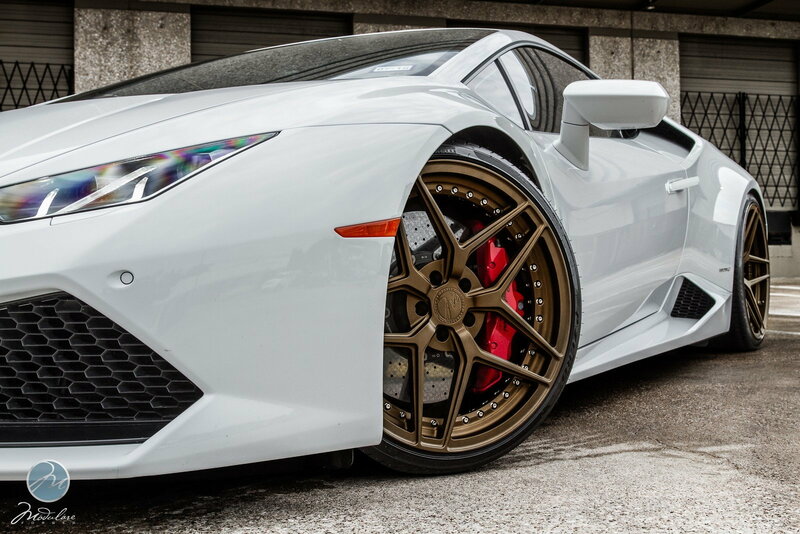 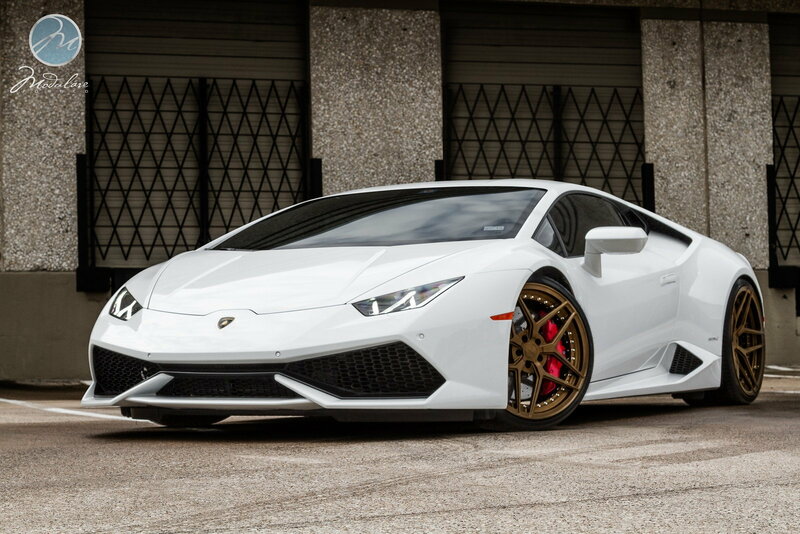 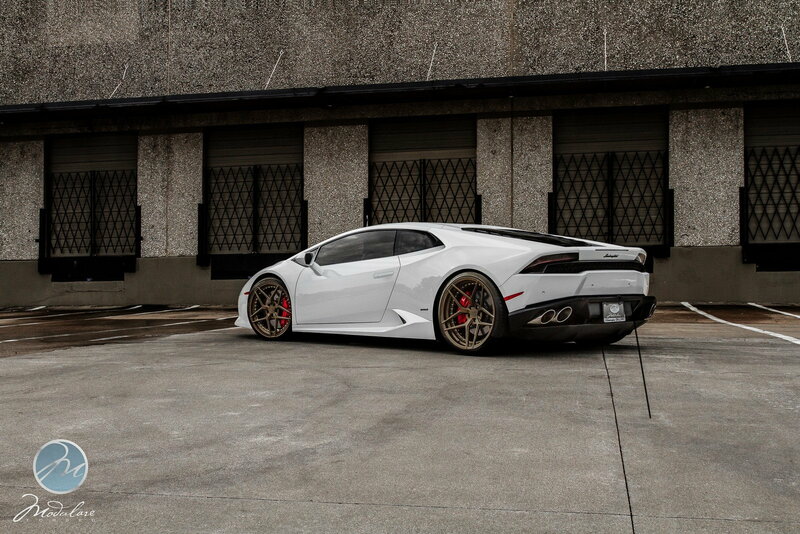 Our Dallas showroom recently outfitted this Lamborghini Huracan LP610-4 with a set of Modulare D32 Forged 2-piece Duoblock wheels from the all-new D-Series. 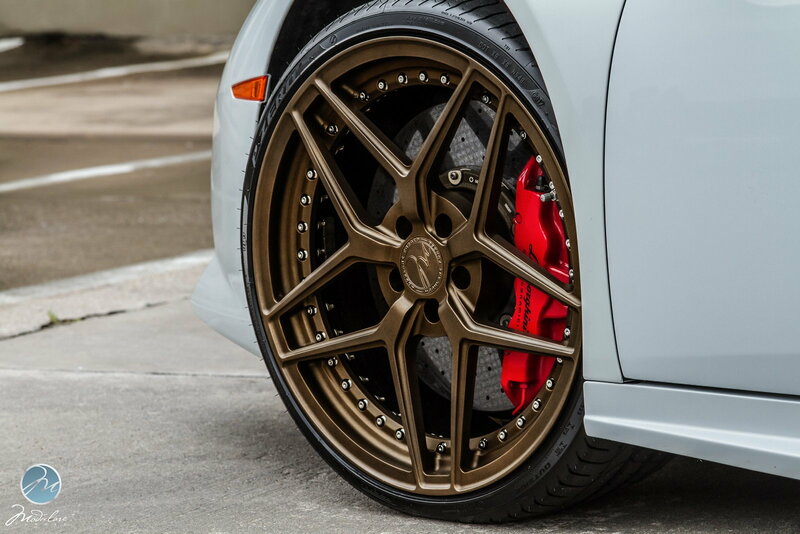 The wheels were custom built right here in the USA to a custom offset and measure 20x9.0 front and 21x12.5 rear, and are finished in the newly updated Satin Bronze finish. 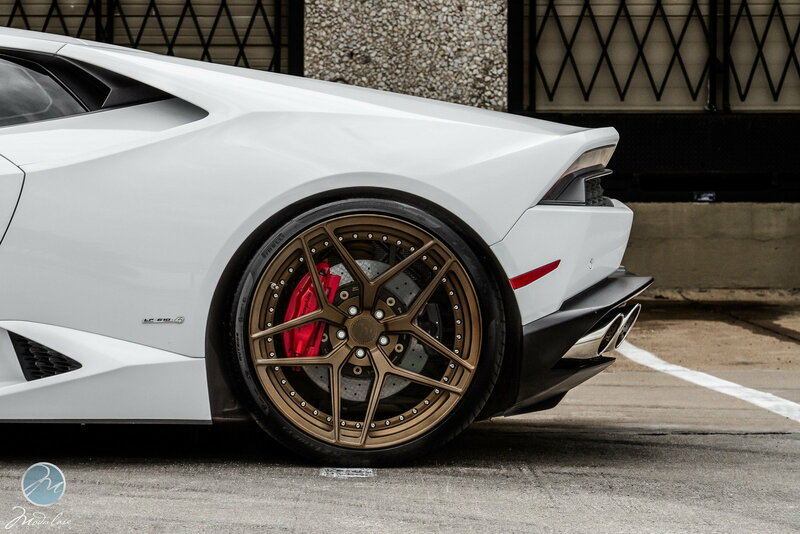 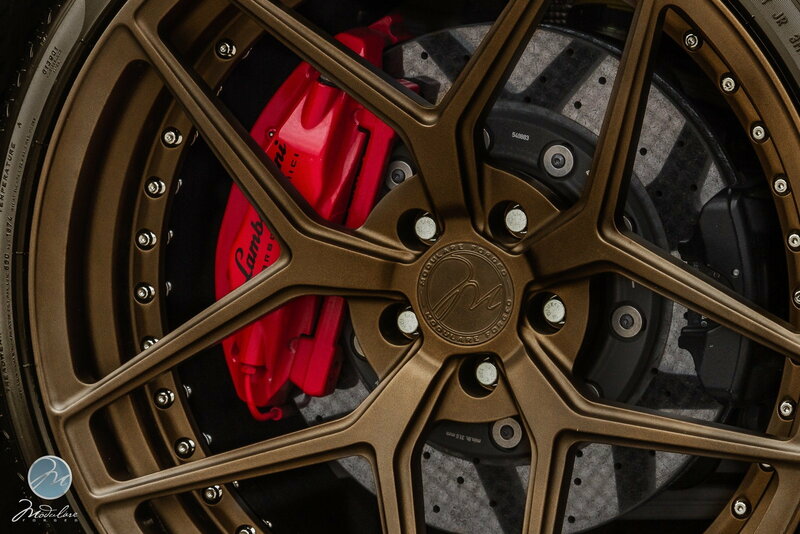 The wheels were subsequently mated to Pirelli P Zero Rubber in sizes 245/30/20 front and 325/25/21 rear, and the vehicle was also lowered via a lowering kit from Novitec Torado.